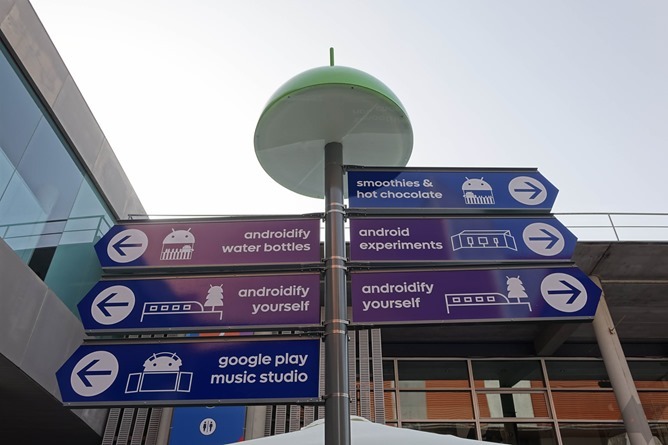 Last year, Google marked its return to public exhibition at Mobile World Congress, but with a whole new twist: it wasn't really exhibiting any of its own or any of its partner's products, it was all just in the name of fun. You see, at trade shows like MWC, business is the predominant subject of conversation, and while quite a few consumer product announcements may occur, they're often secondary to the whole issue of "things which cause money to change hands." MWC isn't open to the public, either, and so attendees are largely in the mobile business in one form or another, or members of the media.